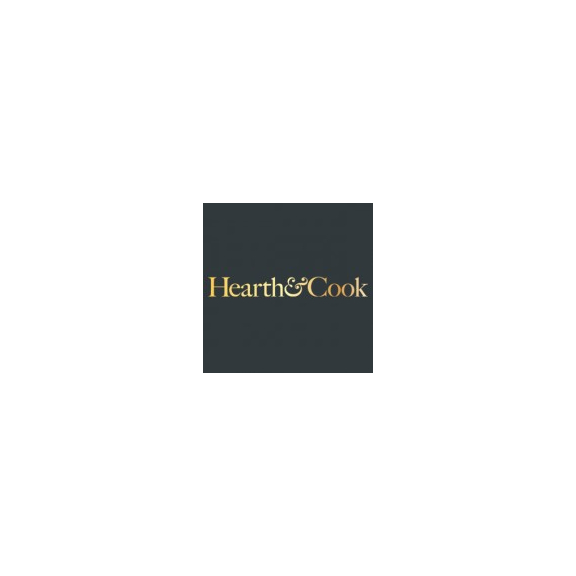 Hearth & Cook showcase 2016’s hottest trends in outdoor entertaining. 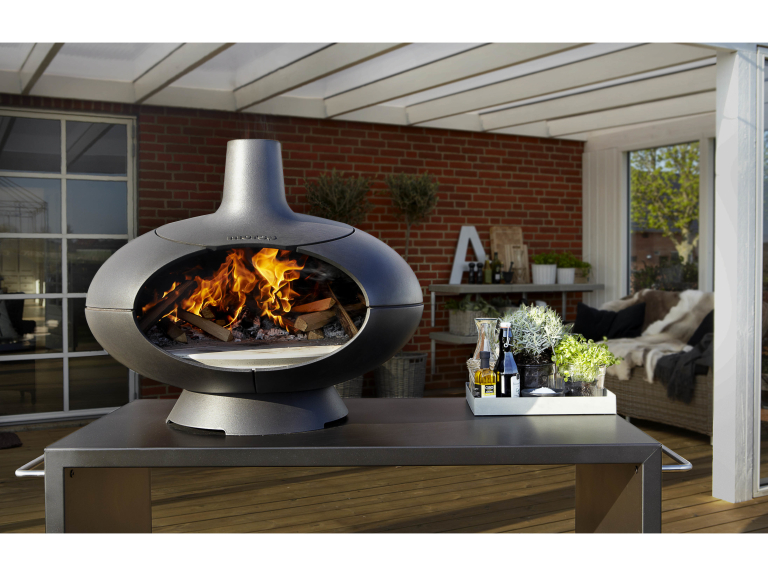 This stylish Morso Forno with its curved edges and sleek design is more than just a contemporary looking outdoor heater, it makes the most delicious food too - as it also offers a combined grill and pizza oven. The wide, low ceilinged firebox of the Morso Forno produces optimal radiant heat – spreading warmth on your patio – but there’s plenty of space to push the firewood aside when it’s time to cook. Internally, the oven is shaped like an Italian stone oven - which makes it perfect for preparing crisp, fresh pizzas and perfect bread in just a few minutes. Or pop in the grill grate and you can easily prepare fish, steaks and traditional BBQ favourites as well as mouth-watering slow cooking dishes too. The Morso Forno oven is available from Exeter’s Hearth & Cook with a range of accessories including the Forno Garden Kit which includes the oven sitting on a large table (which offers handy prep space, plenty of storage for wood under the table top, hooks for hanging utensils and pizza oven tools), a Tuscan grill insert, ash scraper, 3 bags of kindling wood. An attractive and easily manoeuvrable unit which allows you to enjoy the Morso Forno in a variety of locations. There’s even an optional door to turn the oven into a perfect smoker for fish, meat and more.